B.K. 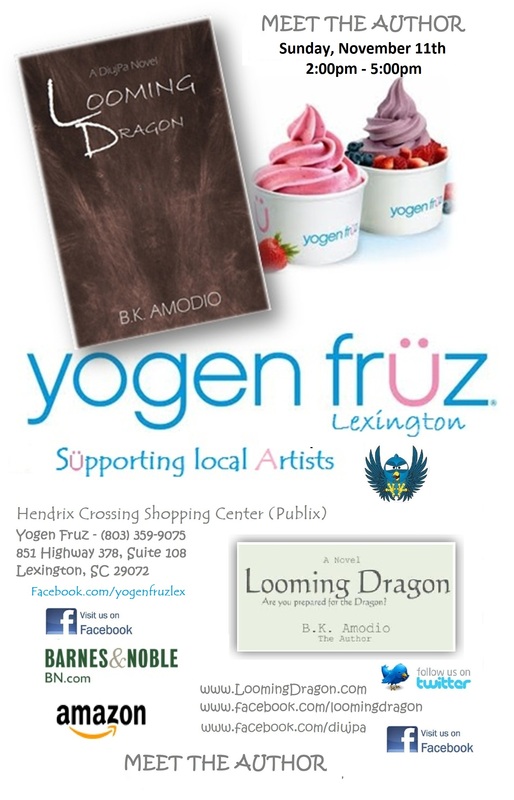 Amodio will be at Yogen Fruz on November 11th. Be there!!! Its free all day folks. This page gives readers a chance to express their opinions. All the readers have to do is send an email to info@loomingdragon.com with their review or comments. The author gets a chance to get feedback from people interested in the series. He may even share their opinions on the website and the Facebook fanpage. Once the Facebook fanpage gets over one thousand, B.K. Amodio will offer the Ebook for free from Amazon.Com. He hope folks participate in getting the word out. Dragon Blog – FREE EBOOK – Celebration! We are celebrating the fanpage going over 200 fans. The ebook will be free on September 22nd, 2012 for one day. B.K Amodio hopes you enjoy Looming Dragon. A number of new links have been added to the Official Website for Looming Dragon. 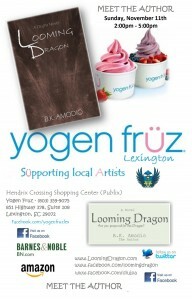 You can now order Looming Dragon at all Barnes and Noble stores. Press releases about Looming Dragon have been sent to New Mexico local area media.